This season for the Phoenix Suns is shaping out to be just like last season. Phoenix Suns are now losers of the previous six games and are 1-9 in the last ten. 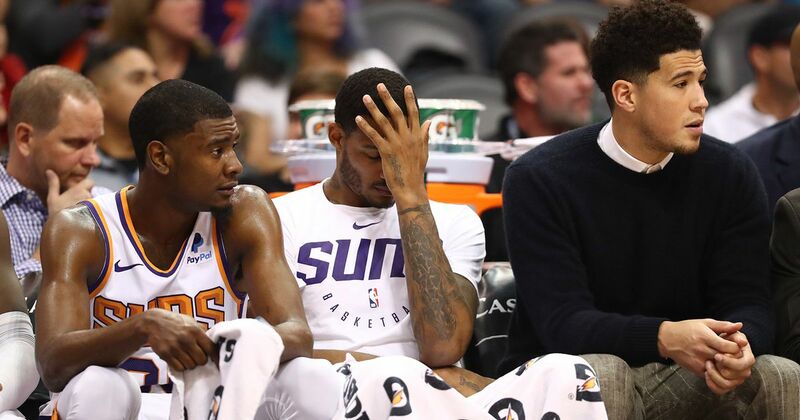 With injuries sidelining some of the best players for the Suns with a small young bench the Suns need to consider making some roster moves to try to save this season. With the 122-105 loss last night to the Sacramento King the Suns has the worst record in the NBA. There is a verbal agreement between the Phoenix Suns and Philadelphia 76ers that could land Markelle Fultz to the Suns and Trevor Ariza to the 76ers. The deal is due to happen by Dec 15. Fultz who is in his second season with the 76ers after being drafted number one overall has been sidelined for the majority of his time in Philadelphia. Fultz played in only 14 games in his rookie season after suffering an injury in summer league this season Fultz has appeared in 19 of the 25 games for Philadelphia. Ariza has been with the Phoenix Suns since being traded from Houston at the beginning of the season. Ariza is averaging ten points per game this season. Last night the Suns had more players in street clothes then they had players dressed to play — suns without TJ Warren for the third straight game and Devin Booker who has been sidelined for the last two games. Booker and Warren are the top scores for the Suns this season missing the 40 points combined hurt the Suns against the (11-11) Kings. Booker has missed six games this season while Warren has missed four games. The Suns poor shooting in the first quarter was the caused the Kings to open up a 27 point lead at the end of the first. Suns scored four points in the first six minutes of the game. Suns never gave up clawing back with the kings matching basket for basket in the second quarter. Suns would keep the same momentum in the second half so did the Kings. Headed into the fourth quarter, the Suns were down by 32 (99-67). Suns would outscore the Kings by 15 in the fourth but fell short 122-105. De’Anthony Melton came off the bench for the Suns led the way with 21 points. Buddy Hield led the Kings with 20 points on 18 minutes of action.